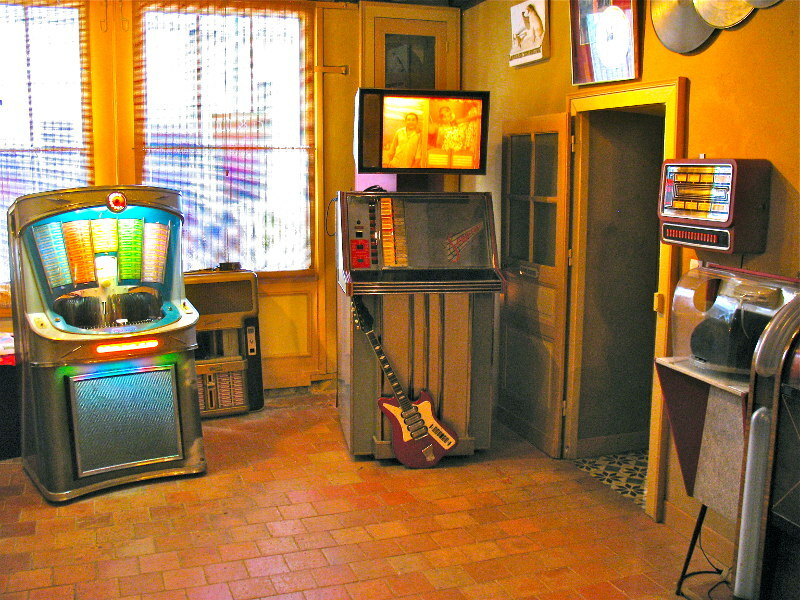 I’ve previously written that we’ve missed “Rock around the Jukebox” at Rosemalen (Netherlands) . Actually we were on the waiting list and only 3 days before the event,it was clear for us that we couldn’t exhibit at the most famous exhibition in Europe. We’ve obtained A small (but precious) place of 3 meters and we will be there !!!! We will have to improvise as we have only two days to organize the event (it’s a bit short), but at least we will be there! Come and see our wallboxes operating and if you’ve already purchased a wallbox2mp3, bring it and we’ll update it to the new V1.3 for free! It is for us the opportunity to gather your opinions, your ideas, etc …. And even if you’re not interested by our wallbox2mp3, this show is definitely the best I’ve never seen !!! – An extended compatibility list with new wallboxes.And as much of our customers have asked us,this new version is compatible with wallboxes Rowe Ami WRA, WRB and WRC, but also much others wallboxes ! The new full compatibility list is available in the support section of the site. – A new improved way to manage random musics when no choice is made that’s more …. “Randomly”. – It offers you to print a summary of the order of your selections along with your labels to keep the thread when labels were cut. It is available for download today in the software section and still free to use ! 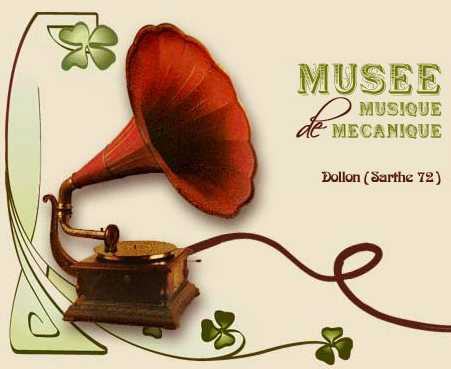 the museum of mechanical music is a great place to go. 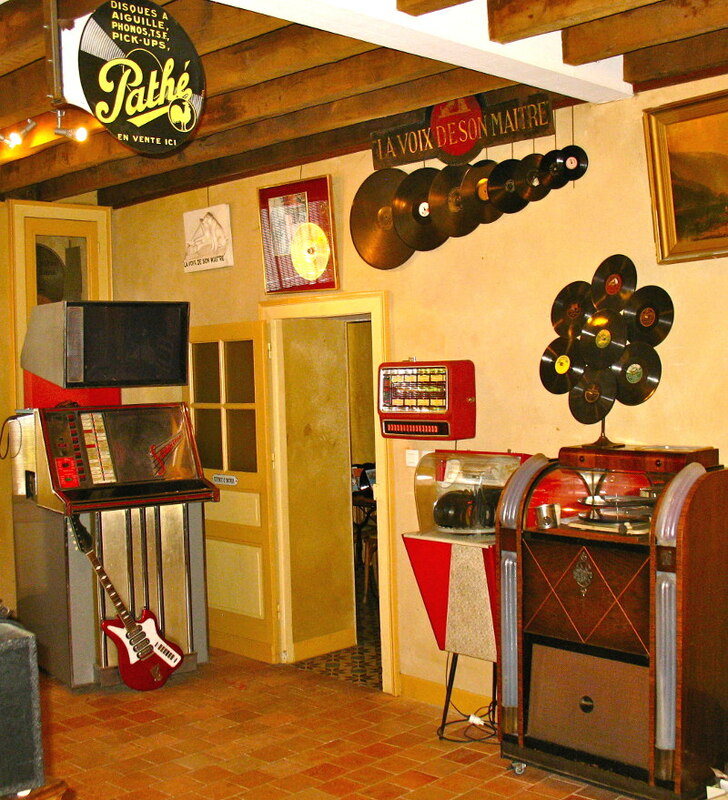 Its goal is to present a collection of musical instruments covering a period from 1800 to the 60's. Obviously, you will discover an incredible amount of rare mechanisms in perfect condition. an endless inventory of exceptions mechanisms,but it also places them in the context of the time. in a bar of the 30s. In short, the museum offer you a getaway outside of time. 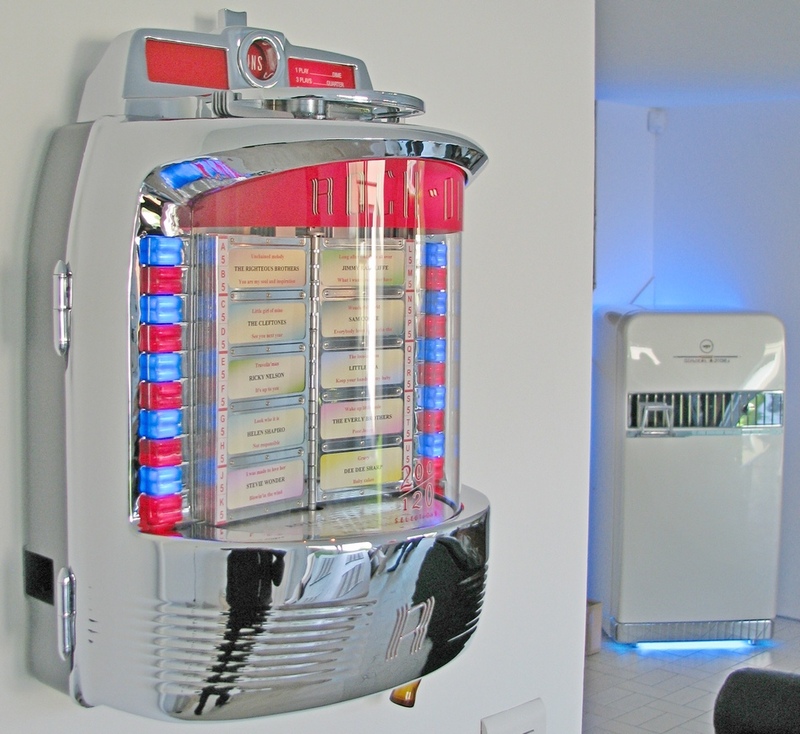 It has notably the famous Scopitone, the 1st Jukebox able to display movies! our wallbox2mp3 in many ways. 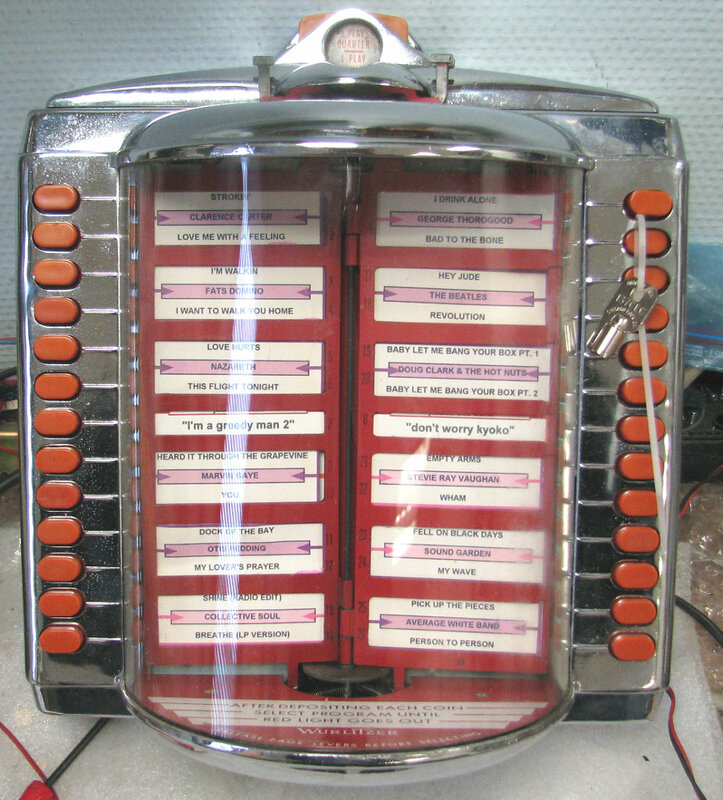 He has done an excellent tutorial about installing the Wallbox2mp3 in Wurlitzer Fernwhal Box 160 . This tutorial is available in the support section of our website. 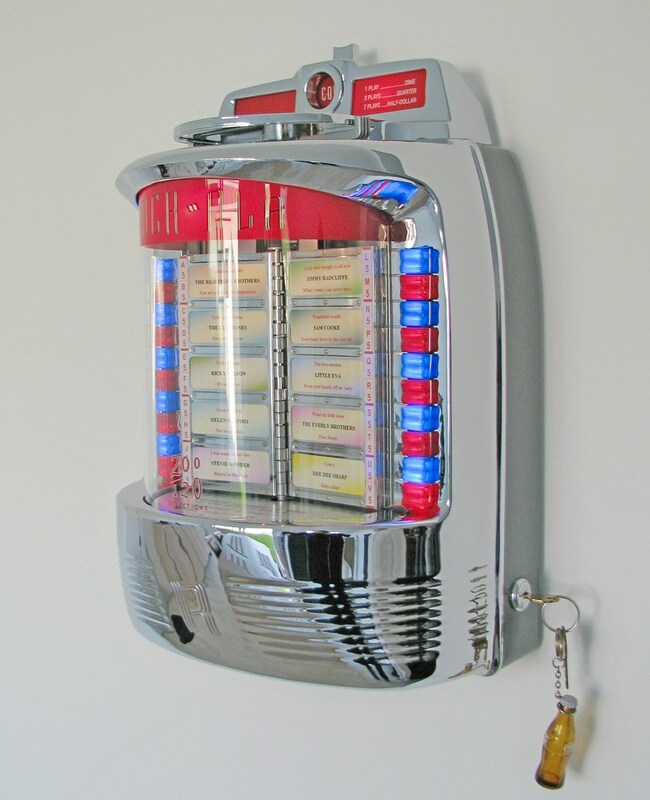 Make no mistake about it,there is no advertising here.I think that its owner would rather miss 50 years of the famous Rock around the jukebox in Netherland than selling its wallbox. Just a quick note to talk about this little wonder. On the way to the Dutch salon of Rosemalen, we took the opportunity to visit a friend. A great memory! Hardly entered, I was flabbergasted by his 1555 Rock-ola. Like new, despite its advanced age. 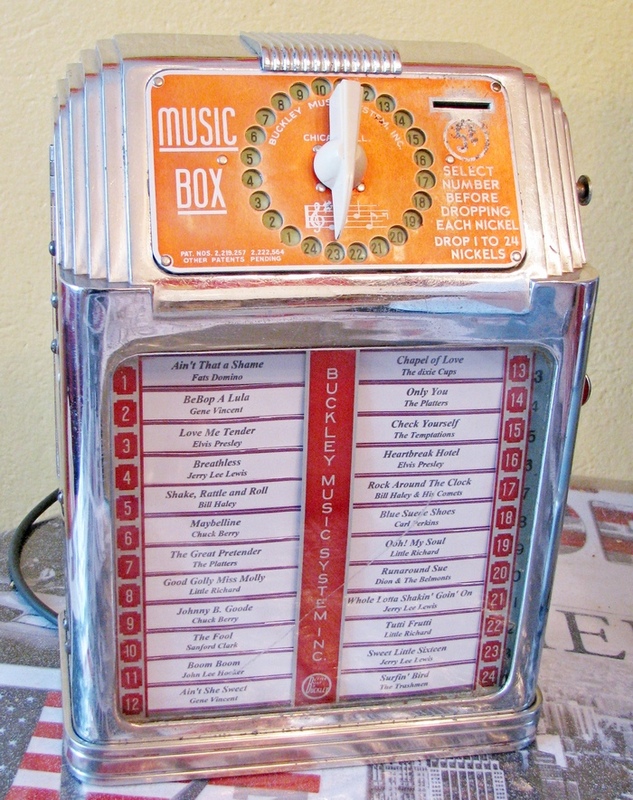 And needless to propose a wallbox2mp3.It was directly wired to the stepper of its jukebox while passing the wires behind the walls ; a must! He made a work of craftsmanship, everything was perfectly chrome plated.Obviously the wallbox perfectly operates, moreover the inside of the Rock Ola is also just as new ! his recommendationsv? First find an elite chromer. Indeed he had much disappointments in previous chrome plating. Finding a good professional in this field is a true mess. Congratulations , this Rock Ola 1555 is the most beautiful wallbox that I have ever seen! Thanks to Rosemalen salon, we were able to buy new wallbox.We are going to be able to make them work with the wallbox2mp3 . 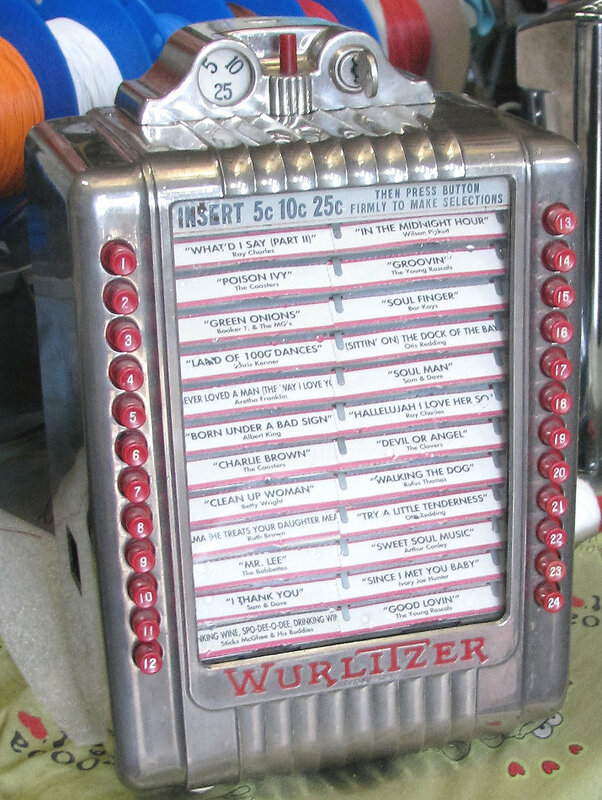 A Wurlitzer 5207 , produced between 1957 and 1961. This wallbox offers 104 selections. Selections are indexed by page. 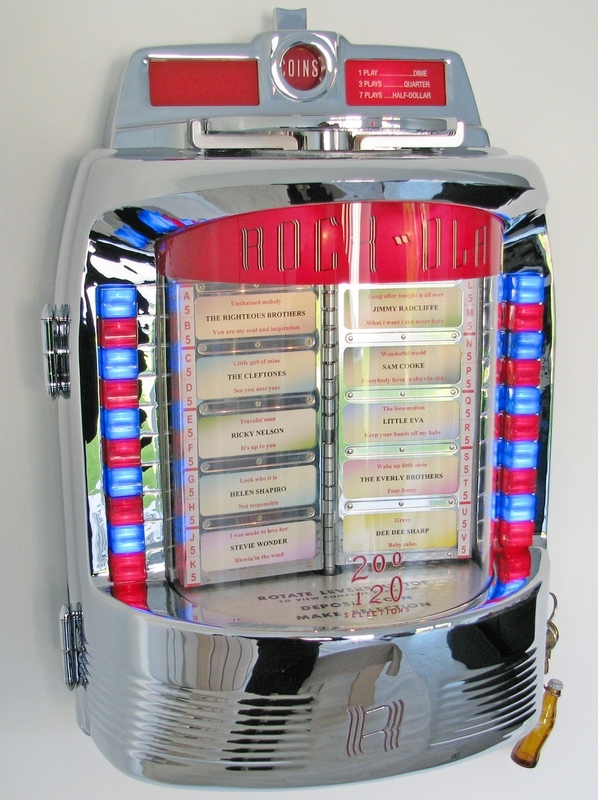 It was initially working with the Wurlitzer model 1900 Centennial . Luckily , this Wurlitzer 5207 is complete and very clean,last but not least it works. The wallbox signal is decoded and will be included in the compatibility list of the V1.2 wallbox2mp3 . A product finally ready, a production to launch quickly, we are finally in the phase or we need to know. 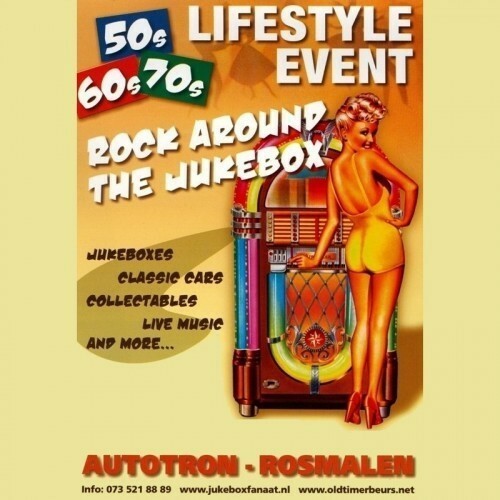 Our first show is choice, the famous Rock around the Jukebox to Rosemalen in the Netherlands which is certainly the largest exhibition in Europe in this area. We have only very few products for sale (depending on the progress of our production during these next two days), but we can do inventory of ten wallbox working as on the first day 🙂 with their assorted titlestrips. We cross our fingers that the Dutch we should welcome. So here, as always we are late, but all our machines heat (because Yes, we have a small production workshop and map is entirely made in France).